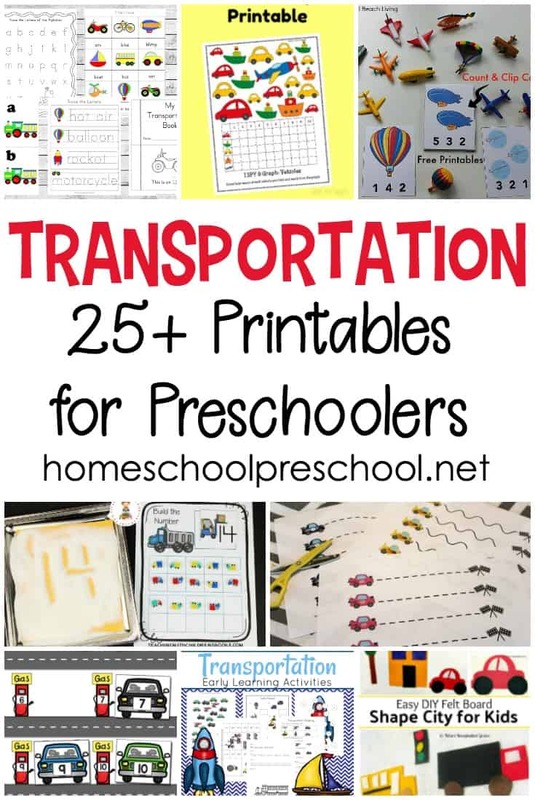 Your little learners are going to love these transportation activities for preschoolers! Hands-on fun for math, literacy, science, and more! Planes, trains, and automobiles. You’ll find activities that feature all types of transportation on the list below. 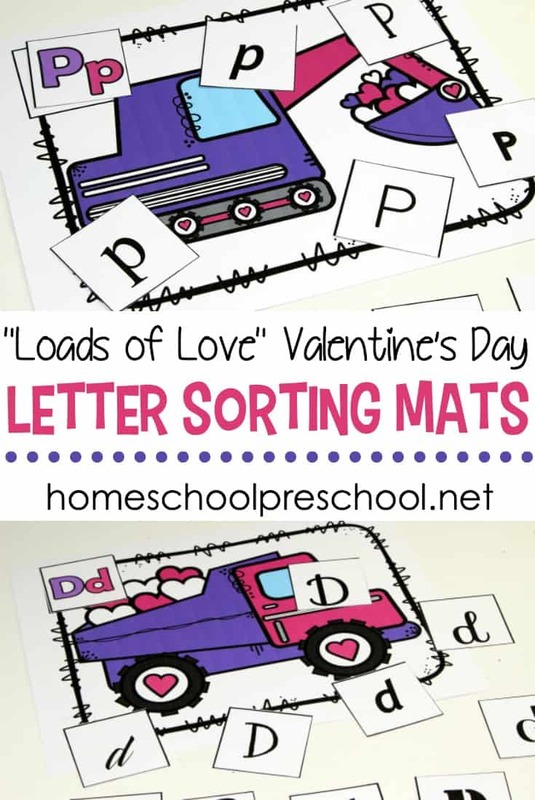 From counting and color matching to blends and letter recognition and everything in between! 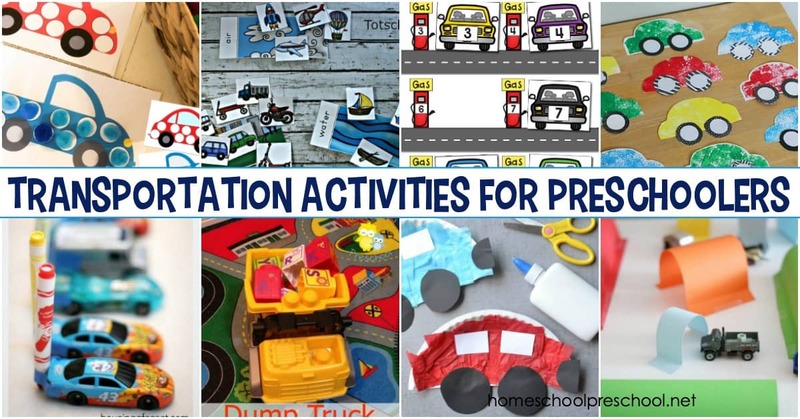 Boys and girls alike will enjoy learning with these activities. I’m a big fan of incorporating your child’s interests into their daily learning time. For years, we included Hot Wheels, LEGO bricks, and Littlest Pet Shop into our math, history, and writing time. If I could make a lesson more meaningful and fun with toys, I did. 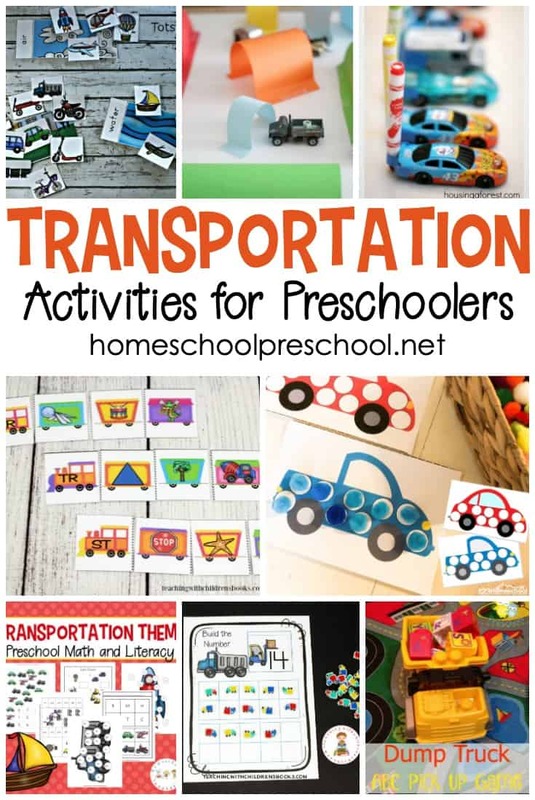 Whether you’re studying modes of transportation or you’re looking for activities for your transportation loving child, check out the activities below and see if you can incorporate one or more of them into your next lesson. 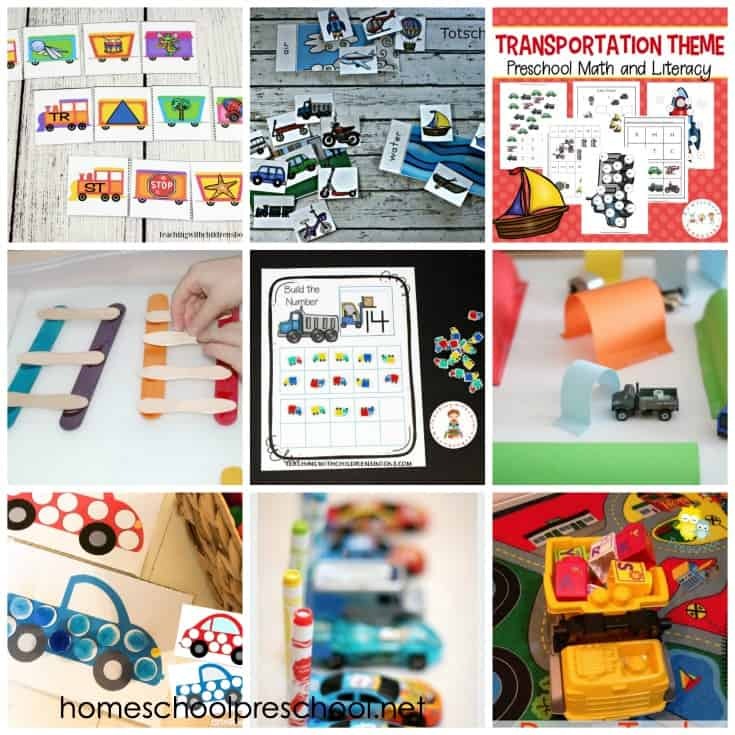 Kids will work on color matching, hand eye coordination, and fine motor skills with this set of transportation pom pom matching pages. Preschoolers will practice counting and number recognition with these Up in the Sky count and clip cards.